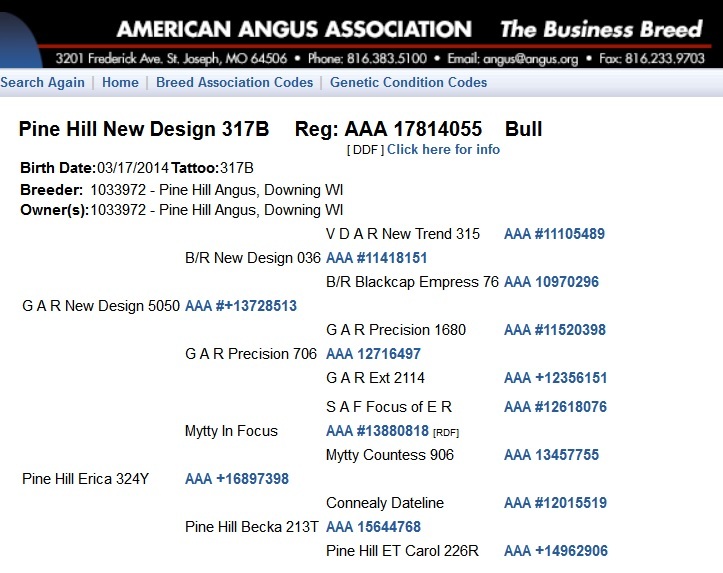 "Pine Hill New Design 317B"
Gentle natured bull from our fanciest embryo donor cow family. A smooth made and very complete and sound moving bull that has excelled at every stage. His rock solid Pathfinder pedigree parades 4 generations of our top embryo donor cows and showcases 15 years of uninterrupted A.I. Sires. High carcass bull that ultrasounded as the 17th highest bull in the Sale with an impressive 3.61 % Marbling along with an outstanding 13.5 inch Ribeye. His Marbling and Ribeye EPD's rank him in the Top 15% in the Angus Breed. 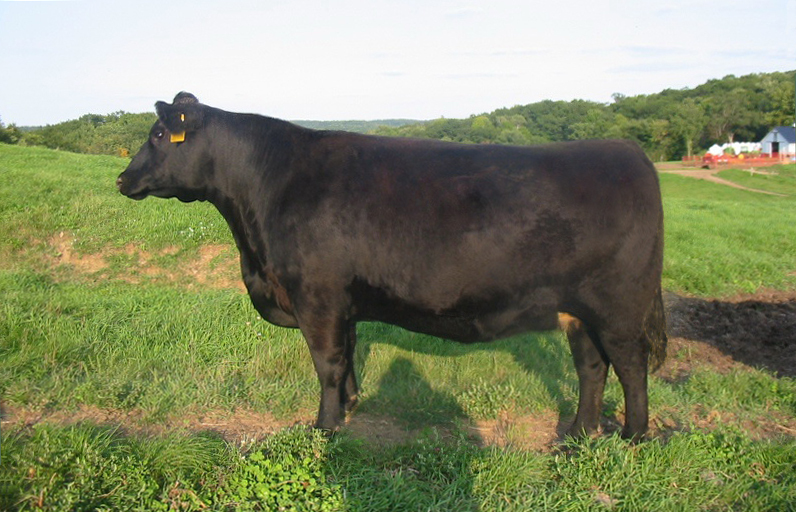 Head-turning eye appeal with an approachable, gentl"Top Percentile EPD Rankings in The Angus Breed"
This bull Her IGENITY® DNA Profile Scores put her in the top percentile for all important traits. She shows a Production Record of 4 @ 101 Birth Ratio, 4 @ 104 Weaning Ratio, 3 @ 108 Yearling Ratio, 4 @ 101 IMF Ratio, 4 @ 104 RE Ratio. traces back through 4 generations of our embryo flush donor cows representing the BEST in our herd. Uninterrupted Donor Cow influence going back to 2003 with the first flush of his Great Great Grand Dam, C F F New Design 036 1367. 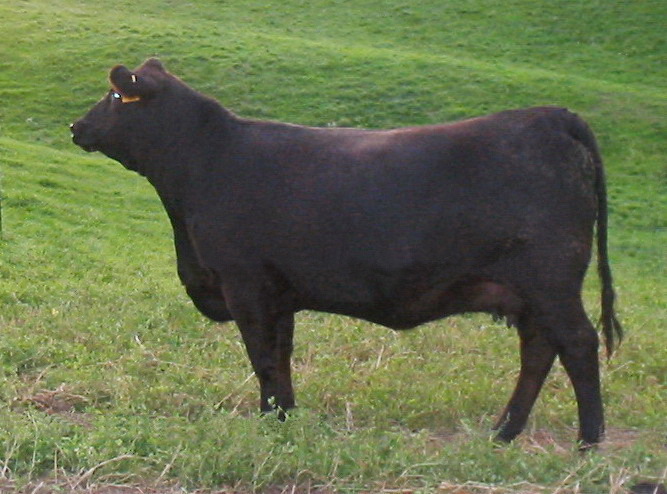 This bull Her IGENITY® DNA Profile Scores put her in the top percentile for all important traits. She shows a Production Record of 4 @ 101 Birth Ratio, 4 @ 104 Weaning Ratio, 3 @ 108 Yearling Ratio, 4 @ 101 IMF Ratio, 4 @ 104 RE Ratio. traces back through 3 generations of our embryo flush donor cows representing the BEST in our herd. Here is Uninterrupted Donor Cow influence going back to 2003 with the first flush of his Great Great Grand Dam, C F F New Design 036 1367. 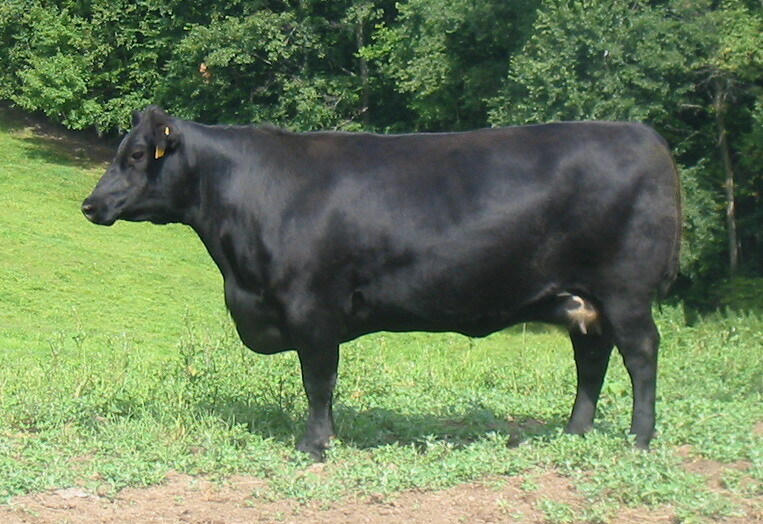 This bull Her IGENITY® DNA Profile Scores put her in the top percentile for all important traits. She shows a Production Record of 4 @ 101 Birth Ratio, 4 @ 104 Weaning Ratio, 3 @ 108 Yearling Ratio, 4 @ 101 IMF Ratio, 4 @ 104 RE Ratio. traces back through 3 generations of our embryo flush donor cows representing the BEST in our herd. Here is Uninterrupted Donor Cow influence going back to 2003 with the first flush of his Great Great Grand Dam, C F F New Design 036 1367. 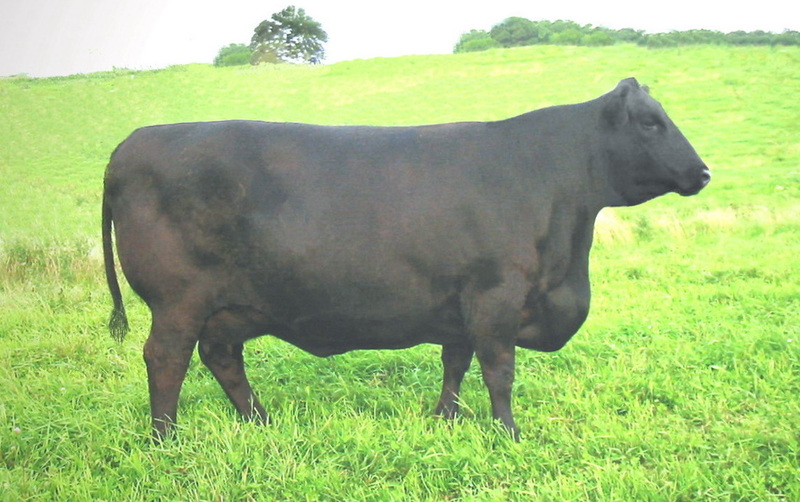 This bull Her IGENITY® DNA Profile Scores put her in the top percentile for all important traits. She shows a Production Record of 4 @ 101 Birth Ratio, 4 @ 104 Weaning Ratio, 3 @ 108 Yearling Ratio, 4 @ 101 IMF Ratio, 4 @ 104 RE Ratio. traces back through 3 generations of our embryo flush donor cows representing the BEST in our herd. Here is Uninterrupted Donor Cow influence going back to 2003 with the first flush of his Great Great Grand Dam, C F F New Design 036 1367. 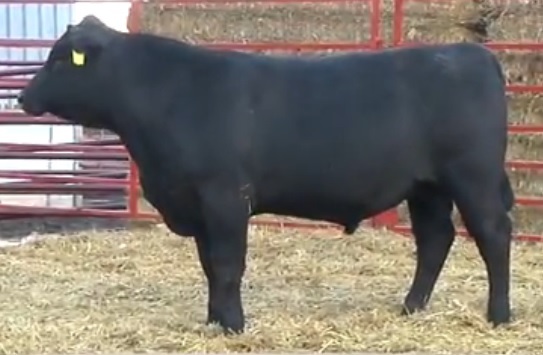 His Dam is an Embryo Transfer cow out of Pine Hill Becka 213T, ( see video ) one of our cornerstone Donor cows. Her IGENITY® DNA Profile Scores put her in the top percentile for all important traits. Her IGENITY® DNA Profile Scores put her in the top percentile for all important traits. She shows a Production Record of 4 @ 101 Birth Ratio, 4 @ 104 Weaning Ratio, 3 @ 108 Yearling Ratio, 4 @ 101 IMF Ratio, 4 @ 104 RE Ratio. Actual Birth Weight: 78 pounds. Scale Weight: March 20th. 1160 pounds. Use your "Back" arrow (top left on this page) takes you back to this bull. Number 3 highest Docility Bull in the Breed. 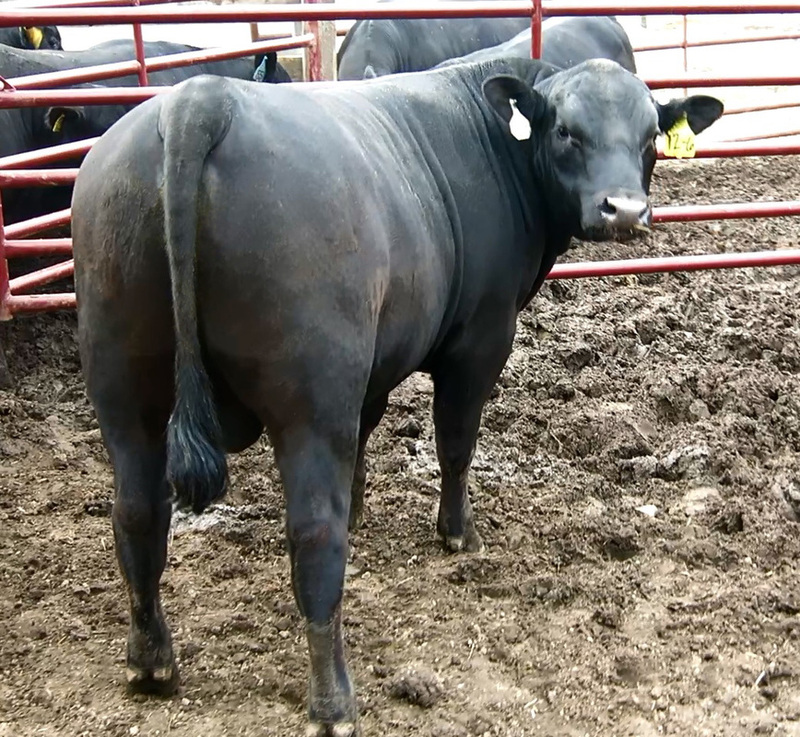 5050 has earned a prime position in the Angus breed with his ability to sire easily-born calves that excel for a long list of economically important traits. 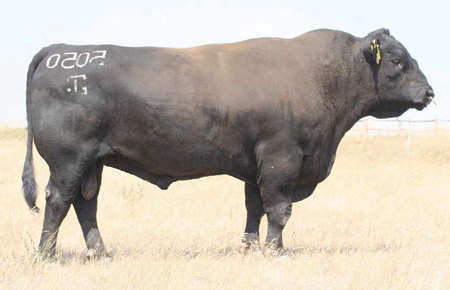 His carcass stats are incredible and accompanied with his solid growth figures, 5050 is a dependable choice for any program that has their sights set on generating high value cattle that excel for docility and Calving Ease and Carcass. No Other Bull Comes Close! Every $Value Index Ranks him in the Top 4% or Higher!